The causes of absenteeism are varied, and so is the impact on companies - from decreased productivity to a reduction in profit and morale. A full return-to-work (RTW) program, starting with a written RTW policy and a list of alternative duties for light duty clearance. Referral process for employees to health management programs. A central leave-reporting system for STD and FMLA. 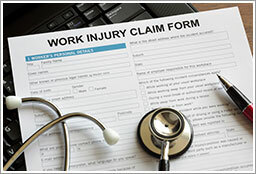 Detailed reporting for disability and FMLA usage patterns, costs etc. Employers are recognizing the importance of managing absences, but most have a long way to go in managing their overall presenteeism program. Implementing strategies to help workers stay healthy is critical to controlling costs. At R&R, we take wellness to a whole new level. Wellness programs will increase the health and longevity of employees and their families –which means that businesses can have a lot of control over their health insurance costs and the productivity of their employees – control that they don’t know they have. At R&R Insurance, we call this program WellCompForLife! Join our upcoming Work Comp Seminar to learn more! More attention is being paid to Presenteeism than ever before. 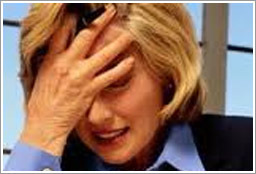 If you were to google Presenteeism, you'll get the long-standing definition: going to work while one is sick. Employers are now understanding that they can have an enormous positive effect for the quality of life of their employees through wellness and health benefits initiatives - which will rebound into more effective and productive employees and ultimately improve the bottom line. At R&R, we take wellness to a whole new level. Wellness programs will increase the health and longevity of employees and their families –which means that businesses can have a lot control over their health insurance costs and the productivity of their employees – control that they don’t know they have. At R&R Insurance, we call this program WellCompForLife! 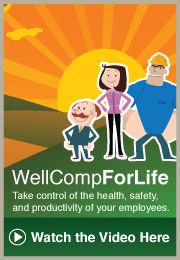 Join the WellCompForLife discussion on LinkedIn! For more information about WellCompForLife, about self-funding your health insurance plan, health care reform or basic employee benefits questions, contact knowledgebroker Laura Stehno.